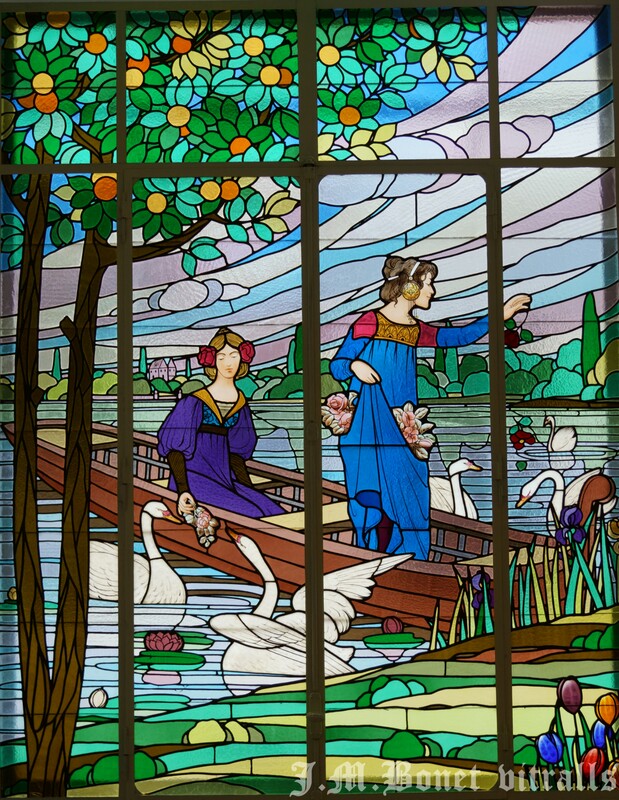 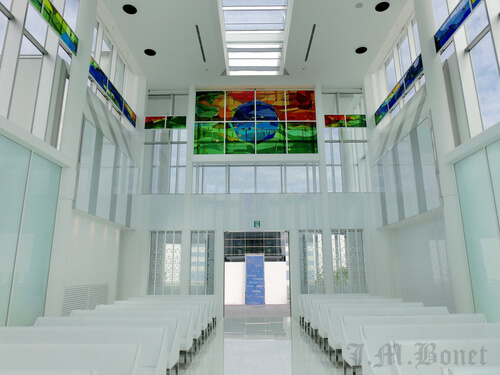 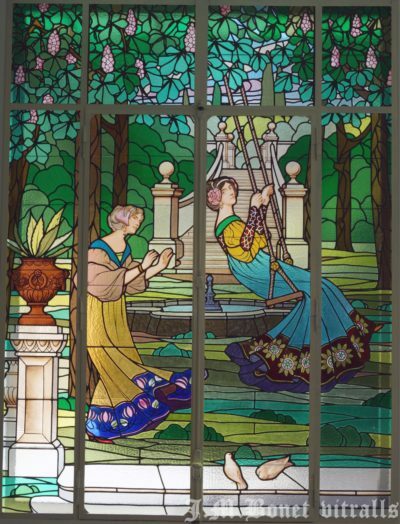 The stained glass windows of Ladies of Cerdanyola were installed in 2009 at their original position at the Cerdanyola Art Museum (MAC), a former theatre and casino building often visited by vacationers. 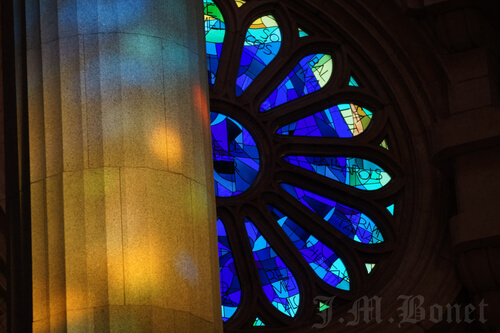 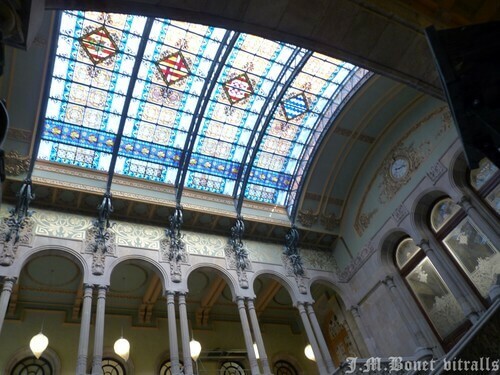 The building houses a remarkable stained glass collection. 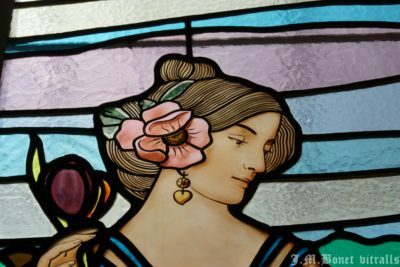 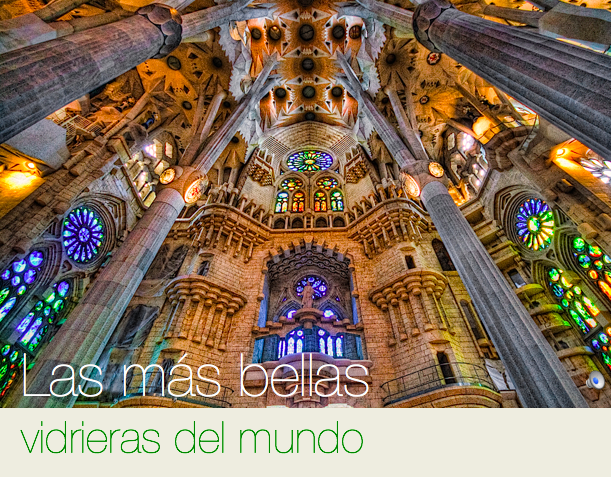 But it is the triptych named the Dames de Cerdanyola (ladies of Cerdanyola) that has become one of the most representative and well known piece of the Catalonian art nouveau stained glass. 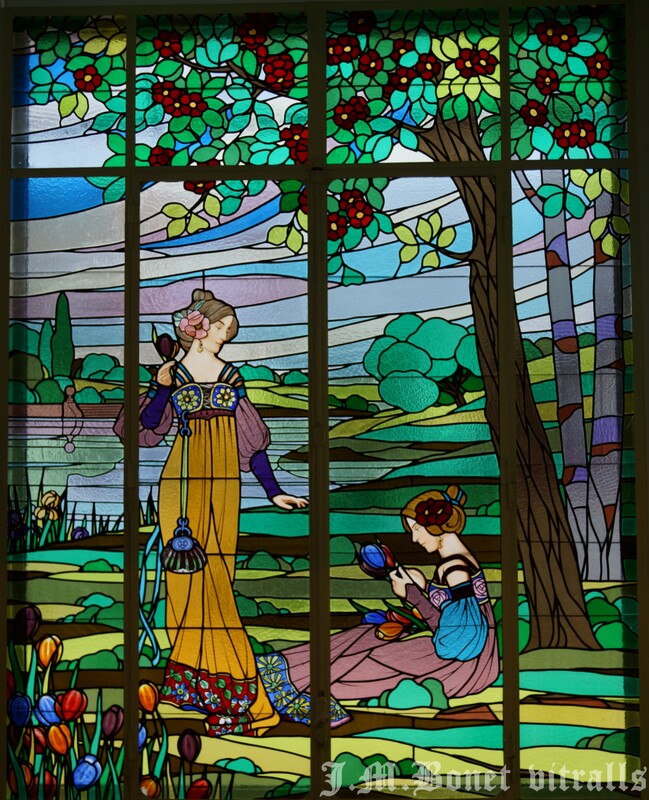 The three windows depict symbolic scenes that show female figures. 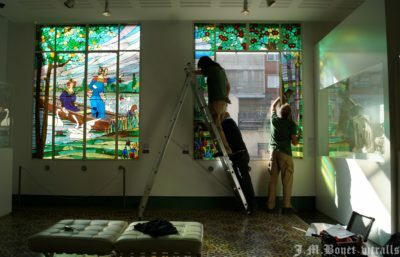 Regarding the authorship, the initial concept of the triptych corresponds to the architect Balcells who also had his own stained glass workshop. 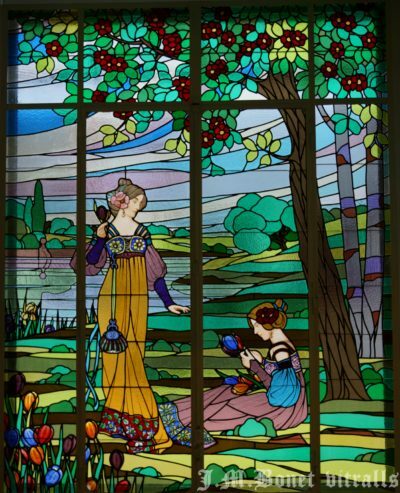 However the windows also have many resemblances to the work of the stained glass maker Antoni Rigalt i Blanch ( Barcelona, 1861-1914). 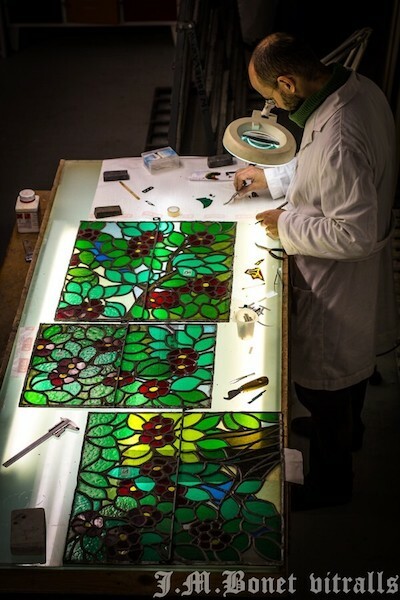 The expert Joan Vila i Grau attributes them to Ludwig Von Bearn Dietrich, a little known stained glass maker from Alsace. 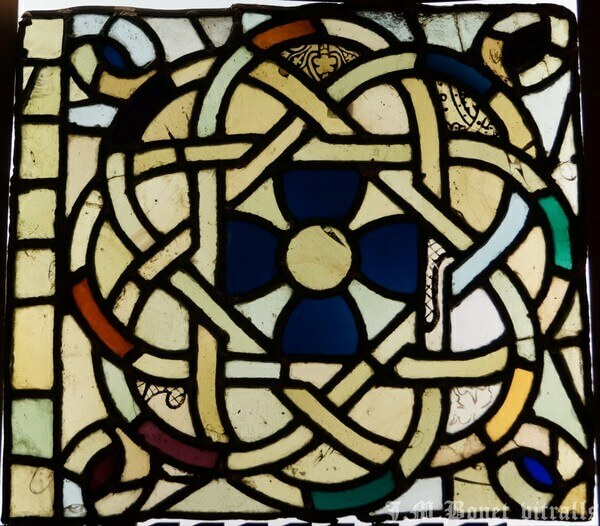 Due to the specific structural properties and aging the lead matrix of the windows has deteriorated. The conservation-restoration has been coordinated by the CRBMC and financed by la Generalitat de Catalunya, Diputació de Barcelona and Cerdanyola Town Hall.